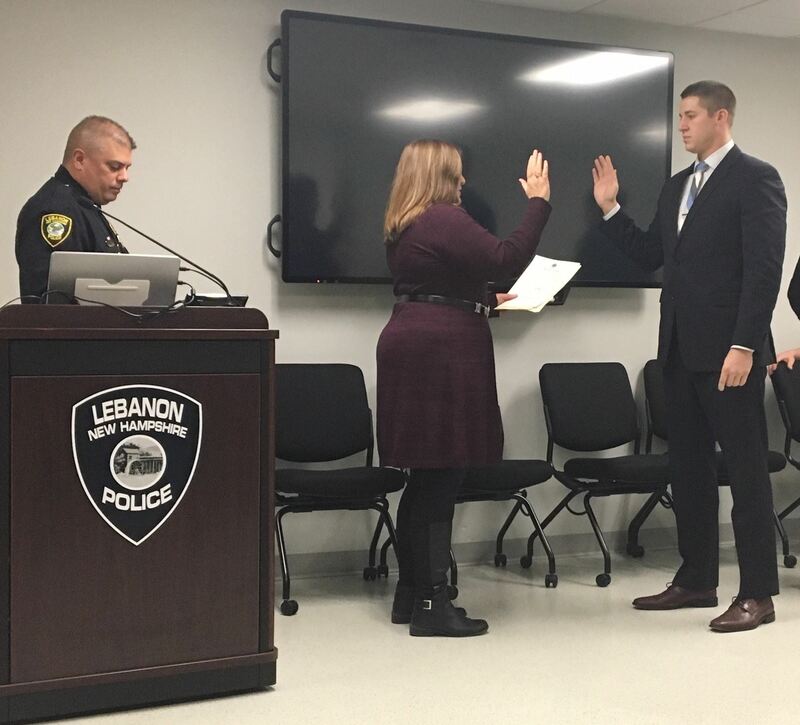 Lebanon NH – The Lebanon Police Department held a Swearing In and Awards Ceremony on Monday in the department’s training room. Newly hired Police Officers Ashley Mills and Ryan Brewster were sworn in by Lebanon City Clerk Sandi Allard. Officer Mills is a Certified Officer from Hingham, MA Police Department, and is pursuing a Criminal Justice degree from the University of Massachusetts. Officer Brewster has a degree in Criminal Justice and Forensic Science from Hilbert College, and will attend the NH Police Academy in January. Officer Pete Begin was given a Commendation Award for Community Service, for his ongoing dedication to the Lebanon Police Department and the greater community. Officer Begin consistently volunteers to take part in a multitude of community events to ensure their success. Officer Brett Quillia was recognized for 10 years of service with the department, and our Facilities Custodian Tom LaPointe was recognized for 15 years with the department.